Get Your SNOOZ On – Sound. Sleep. Refreshed. 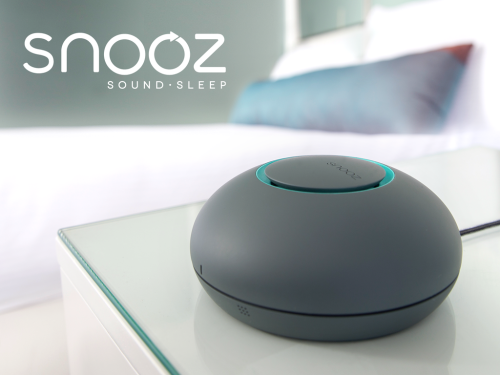 SNOOZ is your solution to a better nights sleep. Scientifically designed to allow you to drift off into a deep restful night’s sleep. The soothing sounds of white noise from this ultra portable sound conditioner will allow you easily allow background noise to now disappear as you drift away to your best night’s sleep. The Ultra-Portable Sound Conditioner that you can control from your Phone. Learn more about beautifully designed SNOOZ …. Click Here to Visit SNOOZ on Kickstarter: GetSNOOZ! Your fear of public speaking is something that you can conquer when you have an incredible group of people that are willing to support you in overcoming your fear. As you know the fear of public speaking is something that many of us have and rather than seek to conquer it, we try to avoid it. I’ve had several conversations over the last few weeks with people who have a big presentation or are speaking at a conference and they tell me they wish they had joined Toastmasters. This is usually the case… We don’t stop and think about improving our speaking skills until it’s too late! The fear of public speaking is something that isn’t top of mind until we are asked to speak at work, at church, or run a business conference. The one thing that I personally was always frustrated with was the fact that it’s not logical! There shouldn’t be anything to be afraid of, right? Many great speakers that you see on YouTube, or speaking at conferences have practice over and over – sometimes hundreds of times! Very rarely does someone say they are natural and public speaking. Toastmasters is a phenomenal way to not only build new relationships, find new friends but also polish your speaking and listening skills. Z’Toasters – is this Zappos Toastmasters Club that I joined back in October of 2014. We have an amazing group that is open to the public and is always looking to support others in overcoming their fears. As a member of Toastmasters, here are two of the most valuable lessons I’ve ever learned. Ken Richardson, an experienced DTM Toastmaster and mentor to our club shared this advice with us. “It’s just practice.” We are here to support each other and this is practice for all when need to speak in public or at our jobs given a presentation. When I heard this, “it’s just practice” – it eliminated any fears I had about volunteering to speak at our Toastmasters club. Thinking of it as just practice , then “it became just that – practice and there’s no pressure”. This is where we make mistakes, get feedback improve and become prepared when we are called upon to speak or give a presentation. World champion of public speaking – Darren LaCroix mentioned this when sharing his experience competing at the international Toastmasters competition. He had mentioned that sometimes we get to overwhelmed, and placed too much pressure on ourselves when giving a single speech. When reality we only get better after doing several speeches. That one particular speech is just a stepping stone and we shouldn’t stress out about it. If were not quite ready or prepared we should just give the speech anyway. It’s all about stage time. The more we stand up in front of a group and speak the letter were going to get. 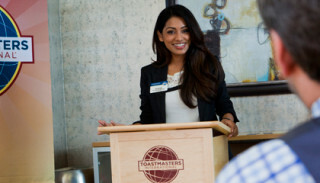 If you’re looking for a Toastmasters Club in Las Vegas, stop by and visit when you are in town. If you live in Las Vegas – Definitely check us out! You may have been using Tweet Adder in the past and are looking for a Tweet Adder Alternative? I was recently looking for a solution to manage my twitter account. In the past, I was using Tweet adder and as you know it’s no longer available. When I was using Tweet adder I was using it manually rather than using the automated features. I was concerned that the automated feature may possibly get my account banned. The amount of information that software provided was pretty detailed. Unfortunately it’s no longer available… Bummer! The solution that I found is called ManageFlitter. Manage Flitter doesn’t have the automation that Tweet adder has which I don’t believe many other software packages offer that because it would violates twitter terms and conditions. The best part there is an option to use a free version of the software to test it out. The main feature I was looking for was the ability clean up my account and unfollowed users. Manage Flitter allows you to identify fake accounts and accounts not following you back or that of unfollowed you and you can add them to a queue. Once added in the queue you can manually unfollowed them. If you use Tweet adder in the past or looking for a way to manage your twitter account – definitely check out ManageFlitter. ManageFlitter – Work Smarter and Faster with Twitter! Here’s a list of articles about Zappos’ new self-management style and a few definitions to help you wrap your mind around everything! Summary: rather than managers managing people, work is managed by self formed teams that contain those individuals that hold roles required to accomplish the work. Summary: A self-managed organization driven by peer relationships allowing a company to adapt and grow vs. being driven. The Offer: Zappos offers severance to employees who are not interested in moving forward with the new management style. 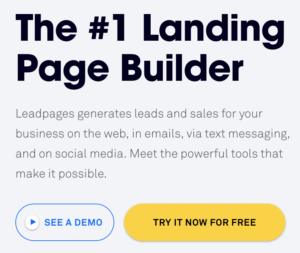 Here’s a great example of how to create a successful online business by identifying a need, providing a solution and focusing on a better customer experience. I recently spoke with Alex Ritter, one of the co-founders of KodiakCurling.com and he shared what inspired him and James Smart to launch their site. “The event that sparked the idea of Kodiak Curling was when I bought my first pair of curling shoes. I found that there was very little information available online to guide my decision making. From working at Zappos I expected several high quality pictures of each shoe on the market along with detailed information and customer reviews. What I found was one tiny image and about two sentences of generic text to describe each product. Ultimately I ended up spending close to $200 at random on a pair of curling shoes I wasn’t happy with. This experience spawned the idea to create a one stop site where curlers would be able to get all of the information necessary to make an informed purchasing decision on shoes, brooms, apparel, and anything else curling related. When you have a passion for something you begin to see opportunities in the marketplace!